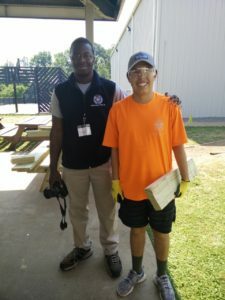 Eagle Scout candidate Jackson Counts spent his summer vacation tearing building brand new benches for the Anderson Boys and Girls Club in Marietta, GA.
Jackson, a Scout from the Foothills District, gathered enough lumber and wood with the help of his parents to re-build over 8 tables that were damaged due to termites and bumblebees. On June 28th, 2016 Troop 252 and a group of community volunteers began removing the damaged tables and benchess. Then they were able to start building new ones. Jackson completed the benches with enough time to do some landscaping as well; spreading mulch and gravel around the bushes and in front of the playground to make it look beautiful. 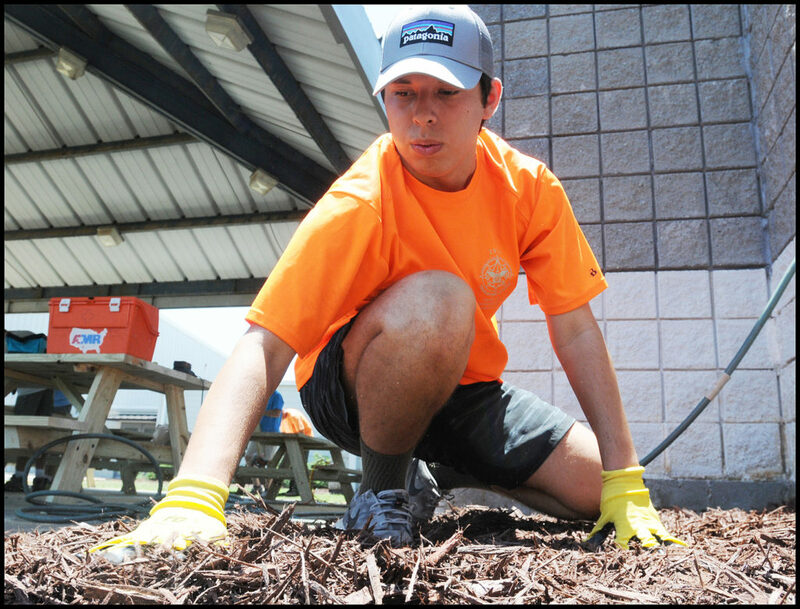 All of this hard work was done for his Eagle Scout Service Project. Jackson also motivated his fellow Scouts, also Life Scout rank, to become Eagle Scouts. He passed down his Senior Patrol Leader position to 17-year-old Adam Grey, who is currently working on his Eagle Scout Project proposal. Soon, he too, will be working on his Project and will follow in the same footsteps as his former Senior Patrol Leader. Eagle Scout Candidate Jackson Counts (second from left) along with this parents and fellow Scouts rebuild benches for the Boys and Girls Club. This story was submitted by Joshua Crawford, a Program Specialist with the Atlanta Area Council’s Scoutreach program, which brings Scouting to under-served neighborhoods throughout metro-Atlanta. To learn more about Scoutreach click here.